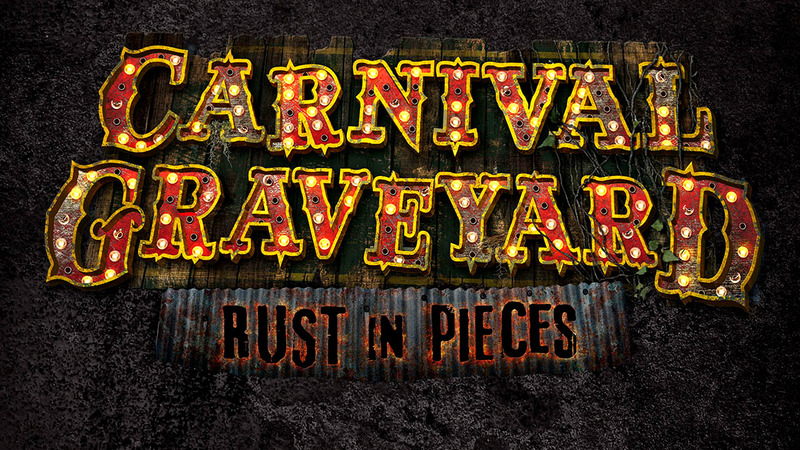 Universal Orlando Resort reveals an all-new original content haunted house coming to Halloween Horror Nights 2018 – Carnival Graveyard: Rust in Pieces. As guests trespass into a dilapidated carnival, they will find a maze of decayed rides and games – and soon discover they are not alone. Horrifying guard dogs, a grotesque ‘tunnel of love’, gleefully vicious performers loaded with deadly weapons fabricated from old rides and more will stalk guests’ every move as they try their best to escape. 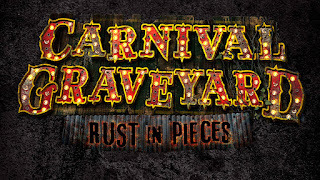 The pieces and parts of multiple carnivals have gathered and left to rot. Bright colors turn to rust, cotton candy decays, and funhouses cave in. The caramel-coated carnivals of yesteryear have long died, but something sinister has festered within the decay. Welcome to Carnival Graveyard: Rust in Pieces at Universal Orlando’s Halloween Horror Nights—where all trespassers must pay… with their life. This twisted house of terrors is the next installment of the ten haunted houses announced in our line-up for Halloween Horror Nights 2018. With more haunted houses than ever before, gruesome scare zones and a show packed with wicked entertainment, you won’t want to miss this year’s show-stopping event.